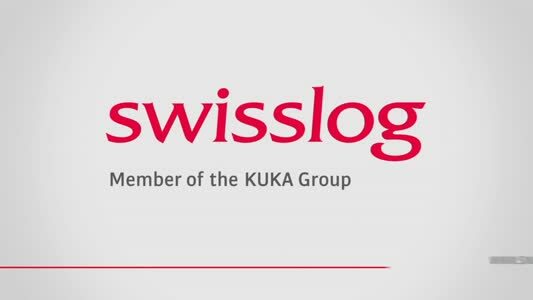 The benefits of FrostCruise technology from Linde Gases include low noise as well as impressive carbon credentials. Linde Gases, a division of The Linde Group, today announced it is running the first fleet of six eco-friendly FrostCruise vehicles in Europe, via its subsidiary supply chain company, Gist, for daily delivery routes to Marks & Spencer and Starbucks retail stores. FrostCruise is a highly innovative in-transit refrigeration system developed by Linde that provides a significantly more environmentally friendly, efficient and reliable cryogenic alternative to diesel-powered mechanical refrigeration. Environmental benefits of FrostCruise include a significantly lower carbon footprint, and zero emissions (particulates, NOx and CO2) at the point of delivery. The overall carbon footprint reduction is 19 percent compared with current systems. With near silent operation, a FrostCruise enabled truck can be used for deliveries 24/7, even in urban areas where laws often limit noise to 60–65 dB between the hours of 10pm and 6am – a level which diesel-operated refrigeration systems are unable to reach without extensive acoustic insulation packages. The new technology has been awarded the UK Noise Abatement Society’s quiet delivery certificate. 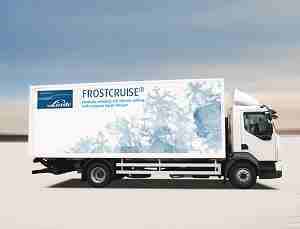 FrostCruise is effectively an on-demand refrigeration system, using liquid nitrogen (LIN) at -196°C to indirectly chill the truck compartment, delivering exceptionally fast temperature cool-down and ensuring accurate temperature control for the highest levels of food quality and safety. Trials conducted by Linde within an ambient temperature of 16°C demonstrated that FrostCruise could reduce compartment temperature to 2°C within eight minutes, less than half the time of a mechanical refrigeration system. FrostCruise also has the ability to maintain accurate product temperature despite multiple delivery stops. As the FrostCruise system is not reliant on the truck engine running to maintain the cooling process, the load will remain chilled to the correct temperature in the event of the vehicle engine requiring to be switched off. New EU legislation - imposition or opportunity?